We are all creatures of habit. Whether it is the same starter in a restaurant, the same radio programme in the morning, or the same yoga class. When we find something that we like we stick with it. However there are some fantastic benefits to be found when we break habits and try new things. The Yoga House hosts a collective of specially trained and experienced teachers, allowing for personal and technical growth, new experiences and new friends. We all work individually and some of us teach in other locations as well as internationally but we come together as a collective at The Yoga House. We support one another's beliefs and ways of working while allowing each other space and acceptance to be creative and independent. The Yoga House is honoured to have Liz Lark share her 20 years of experience as a Yoga teacher. 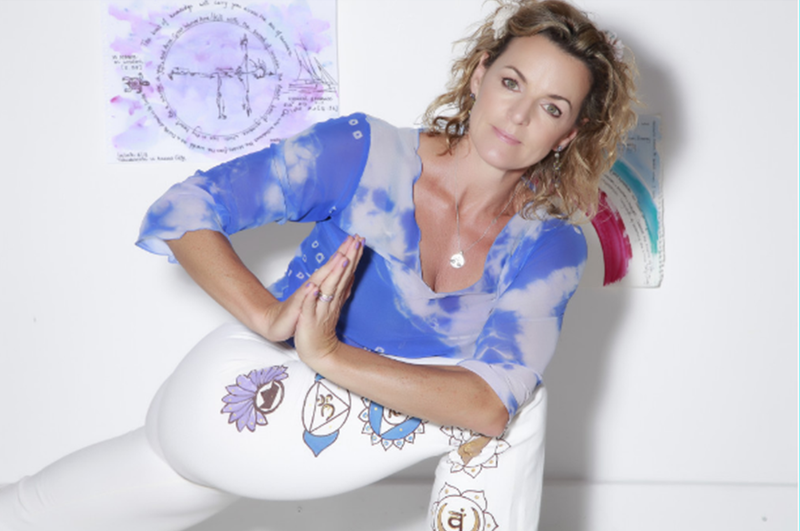 Liz's passion for Yoga developed in 1990, studying as a teacher with the British Wheel of Yoga (1992), and exploring Astanga Vinyasa Yoga, a dynamic, dance-like style which led her to India and Crete through the 1990's. She has been teaching yoga for almost 20 years, developing from a British Wheel of Yoga Hatha Teacher Trainingfoundation, to Astanga Vinyasa Yoga; practising in mid 90’s under Derek Ireland. Her inspiration comes from the Astanga Vinyasa tradition and other Hatha yoga practises. Liz adapts yoga postures for each individual in order to ‘chisel' into the form and helps sculpt and free each unique body. A member of Yoga Alliance USA and British Wheel of Yoga, she is also a board member for The Life Centre Teachers Training Course, and runs retreats and workshops nationally and internationally. Her Thai Yoga Massage training in Chieng Mei has informed her hands- on adjustments; which Liz teaches along with Creative Sequencing, for the London Teachers Training Course www.yogacampus.com, on which she’s a board member. Yoga has been a huge part of my life since I took my first Ashtanga Vinyasa lesson 20 years ago. I simply loved it but had no idea at the time how life changing it was going to be for me, or that I would end up as a teacher. However, I’ve now been teaching yoga for 17 years, antenatal yoga for 15 years and postnatal yoga for 11 of those. Yoga has enhanced my life in so many ways and I’m so happy that I can pass this ancient transformational knowledge forward to other people. My passion for yoga began many years ago and it continues to keep me sane and grounded in a busy world full of stress and challenges. I completed the Yoga Campus teacher training in 2009 (certified by The British Wheel of Yoga and Yoga Alliance) and I have been sharing my practice ever since. For me it is essential to carry on training to keep inspired and up to date. I have been lucky enough to work with many amazing teachers; Internationally renowned Ashtanga teacher Richard Freeman, Shiva Rea, Katrina Repka, Uma Dinsmore-Tuli (whom I completed my pregnancy yoga teacher training with) Sarah Litten and Jo Manual (whom i completed my teaching yoga to children with). My Main Teacher is Liz Lark whose vast knowledge and dynamic approach has shaped my own practise and my teaching style. Most recently I have worked with Shiva Rea, completing two of her week long intensives, her energy, enthusiasm and warmth is truly inspiring. My approach is friendly and down to earth with creative, fun and fresh ideas about how to practice. Yoga has so much to offer, from increasing your flexibility and strength to gaining a deeper feeling of peace and calm in your life. I opened the door to yoga in 1998. I have practiced several styles of yoga, meeting many wonderful teachers, and found my way with vinyasa. The free-flowing creative sequences inspire me. Fifteen years of practising, one of the progressions came as teaching. I trained and studied with Mark Freeth, completing his Freestyle Yoga Project 200-hour Teacher training in 2012. I continued my training with Yoga Campus, completing another 200-hour teacher Training in 2015. Prior to teaching yoga, I was a dedicated student and practitioner of Shiatsu, a branch of Chinese Medicine. I’m still passionate about Shiatsu and enjoy practising, I love how it spills out into my teaching. My classes are informal, friendly and full of love. I teach from my heart and love sharing yoga. My classes are strong and vibrant but grounding and soft, I like creative and interesting sequences whilst working on precise alignment and breath. I am so grateful to all my teachers and students. Especially my daughter, born March 2017, my greatest teacher so far. I teach Anusara – inspired hatha flow yoga with a strong focus on mindfulness, alignment, and working with the breath. Each class has a theme and we always start and finish with meditation and breath work. I had back surgery for a prolapsed disc in 2007 and took up yoga as part of my recovery. Mindfulness influences my teaching, and I use invitational language with each pose and sequence being optional, and students encouraged to develop their awareness of their bodies, minds and emotions. My teaching style is direct and with kindness. Beginners and those with injuries are welcome. I studied for my 200 hour Yoga Alliance Teacher Training Certificate with Bridget Woods Kramer, the UK's leading Anusara teacher. Further training has included Applied Anatomy, Mindfulness, Pregnancy Yoga, and Vocational Meditation. I am hugely grateful for all my teachers. Having practised on and off in her teens, Louise really came to a consistent yoga practice before the birth of her first child 12 years ago. She found practising pre-natal yoga gave her a new understanding of how to work with the body and breath. Over the last decade Louise has moved back and forth overseas, and has taken her yoga practice with her – practising at home, and also experimenting with different yoga classes and styles. She realised that practising yoga was the only time she truly felt at ease, and started to learn more about how yoga can bring together the mind and body. Louise is continuing her comprehensive teacher training with Yogacampus, one of the UK’s top teacher-training centres certified by the Yoga Alliance, and known for its non-dogmatic approach to yoga. She enjoys incorporating a playful fluidity into her classes, encouraging people to explore moving their bodies in new ways. She also likes to focus on the breath, helping people to ‘tune in’ to their bodies, bringing real awareness to how they practice. Yogalates is an internationally acclaimed, award winning exercise system fusing the best of Yoga and Pilates with stretching, toning and strengthening exercises. I have been practising Yogalates for over 10 years and qualified as a Yogalates instructor in 2012, having trained with the Yogalates founder and Master, Louise Solomon.